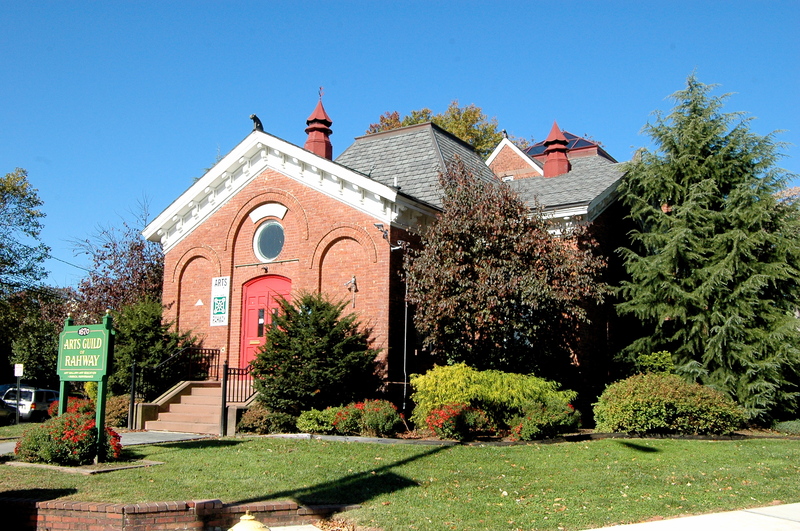 Arts Guild New Jersey is a non-profit center for the arts located at 1670 Irving St. at Seminary Avenue in the Downtown Arts District of the City of Rahway. Arts Guild New Jersey presents a yearly program of fine art exhibitions as well as three semesters of multi-week art classes for adults, teens and children, one-day workshops for adults, summer art workshops for kids, and a variety of secondary art and cultural events, such as lectures and seminars. The Art exhibits at the Guild focus primarily on the presentation of works by notable emerging New Jersey artists. We feature a wide range of mediums (painting, prints, photography, mixed media collage, construction/assemblage, sculpture, etc.) and a broad range of styles from photo realism to complete abstractions. Our exhibits aim to present an overview of current or enduring trends and directions in the contemporary art of New Jersey’s arts community. It is the mission of Arts Guild New Jersey to present high level arts programs for the benefit of residents in Central and Northern New Jersey. We promote a broad range of the arts and the value of the arts for all people. Since 1999, Guild has provided an increasing range of art events, activities and programs for a mulit-county audience. The programs at Arts Guild New Jersey are made possible by funding from corporations, foundations, government sources, membership and individual contributions.